London, UK - 28th May 2012: Esperanza Spalding performs live at the Koko Club. 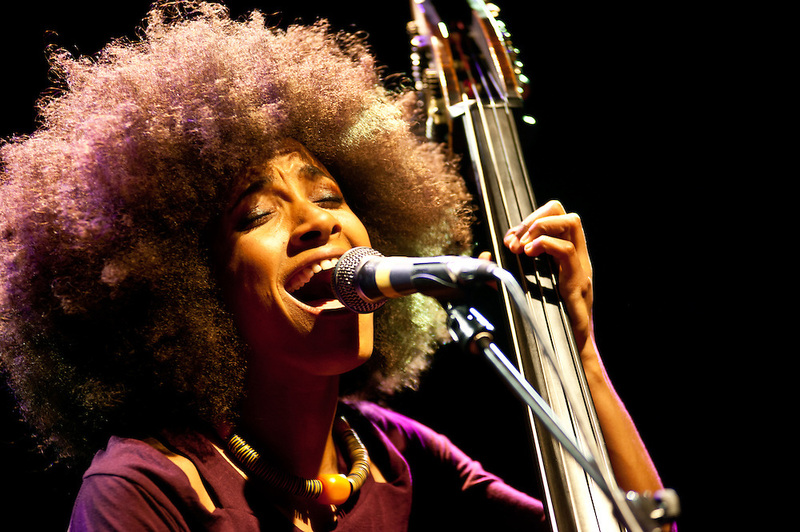 Esperanza is a grammy-award winner bassist, vocalist and composer from Portland, Oregon and begun her solo artist career in 2008. High quality fine art limited prints of the concert are available for delivering worldwide. Contact me on pcruciatti@gmail.com to know more. London UK - 28th May 2012: Esperanza Spalding performs live at the Koko Club. Esperanza is a grammy-award winner bassist vocalist and composer from Portland Oregon and begun her solo artist career in 2008. High quality fine art limited prints of the concert are available for delivering worldwide. Contact me on pcruciatti@gmail.com to know more. fotografo a milano fotografo milano fotografo milano centro fotografo lombardia fotografo "milan photographer" "photographer in milan" "photographer in bergamo" "photographer milan" "photographer milano" "photographer in milano" "italian photographer" "photographer in italy" "photographer in lombardy" "fotografo a como" "fotografo a pavia" "fotografo a bergamo" "fotografo a trieste" "photographer trieste" "fotografo di milano" "fotografo a milano" "photojournalist in milan" "corporate photographer" "event photographer" "fotografo di eventi" "fotografo di eventi milano" "photographer in bergamo" "photographer in trieste" "event photographer milan" "milan photographer"